This macramé bracelet is hand weaved by using square knot technique. 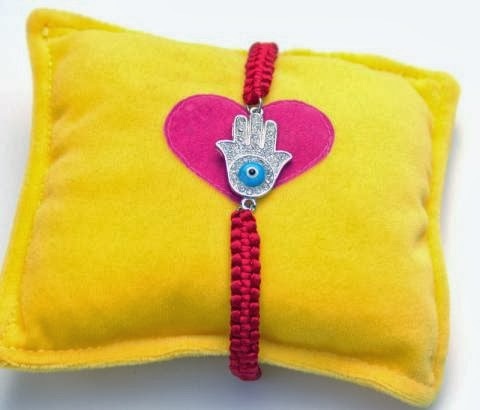 It features a sparkly 15*36mm Hamsa Hand Pendant / Evil Eye protection charm with diamond rhinestones and is finished with two 5mm black alloy balls. The bracelet is very light, weighing approximately 6gm and is adjustable in size. 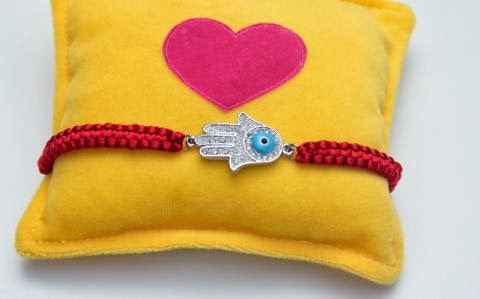 15 x 36 mm Hamsa hand /Evil Eye protection charm with diamond rhinestones and finished with silver bead. The charm is on red satin rope macramé with an adjustable sliding knot to fit most. You can add it your Birthday Wish List!!!!!!!!!!!!!!!!!!!!!!!! Bu hafta malzeme dükkanımdan üç ayrı müşteriye satışım oldu, Nazo ailesine çok teşekkür ediyorum, sevgilerimle.